We are immensely grateful to Albourne Partners and their supporters for raising more than £155,000 for our projects at their incredible performance of ‘The Importance of Being Lewis’ on 7 October. The event was held to honour the memory of Jacques Joubert (1992-2015) who had Duchenne. The hedge fund consultancy took over the Dominion Theatre, which was kindly gifted for the occasion, to stage a highly professional spoof version of Oscar Wilde’s 1895 farcical comedy ‘The Importance of Being Earnest’. 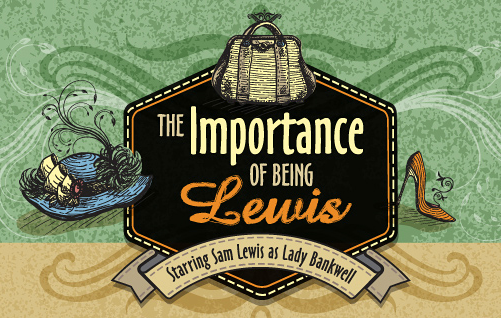 The performance was entirely produced, directed and acted by Albourne staff, with Lewis brothers James and Edward playing the leading rivals, and Sam Lewis keeping the audience entertained in his inspired turn as Lady “Bankwell”. Some 1,300 clients, colleagues and guests turned out to enjoy a show peppered with comedic hedge fund references, which was followed by drinks and live music into the early hours. The evening was sponsored by Land Securities. Funds raised at the event will be put towards the Solid GT gene therapy project, as well as to support clinical trial capacity needs for Duchenne at Great Ormond Street Hospital. Click here to read more about the projects we fund.